Triangle UXPA - [UX Book Club] Raleigh Book Discussion of "Mobile First"
[UX Book Club] Raleigh Book Discussion of "Mobile First"
Register for the meetup here: http://ow.ly/b4mlx. The TriUXPA Book Club is managed via meetup.com. This will be the Raleigh-based meetup for the discussion of Moblie First. There will also be a non-overlapping session hosted in Durham one week earlier. 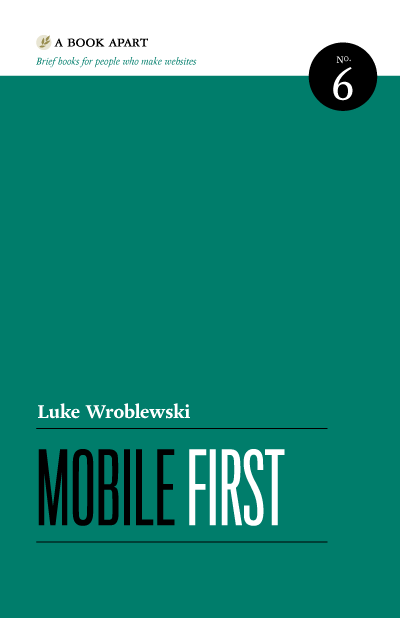 On June 28th at 6pm we will be meeting to discuss Mobile First by Luke Wroblewski at the NCSU Library in the Mini-Theater. Parking along Hillsborough Street is free after 5pm. In the meantime, feel free to head to the discussion tab here to ask questions about the book or suggest a discussion topic for the meetup! Mobile First is available here: http://www.abookapart.com/products/mobile-first. Our industry’s long wait for the complete, strategic guide to mobile web design is finally over. Former Yahoo! design architect and co-creator of Bagcheck Luke Wroblewski knows more about mobile experience than the rest of us, and packs all he knows into this entertaining, to-the-point guidebook. Its data-driven strategies and battle tested techniques will make you a master of mobileundefinedand improve your non-mobile design, too! Parking is free on Hillsborough Street after 5pm; parking also is available in the Dan Allen Deck. Note that the only entrance to the library is from the Brickyard (the opposite side from Hillsborough). The Mini Theater is in the Library's West Wing, on the 2nd floor.